The 11th Zhejiang Export Commodities (Osaka) Fair and the 1st Osaka International Living Goods Fair in Japan ended at the INTEX OSAKA International Exhibition Center in Osaka, Japan.Yiwugo brought Yiwu market commodities to this exhibition. There are 220 exhibiting companies in this exhibition, 310 booths and an exhibition area of 7,000 square meters. The main exhibits include pet supplies, daily necessities, clothing, gifts and crafts. Unique shopping bags, handicrafts with Japanese characteristics, new-style underwear, etc., Yiwugo booth attracted many merchants to stop and watch. 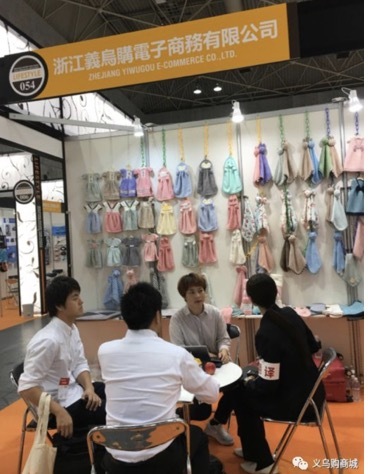 In this exhibition, we not only harvested the customer's satisfied smile and sincere feedback, but also accelerated internationalization of Yiwugo. Until the end of the exhibition, Yiwugo has accepted a number of corporate cooperation intentions and will continue to follow up.